While not the best picture, it highlights something I'd like to practice: night photography. 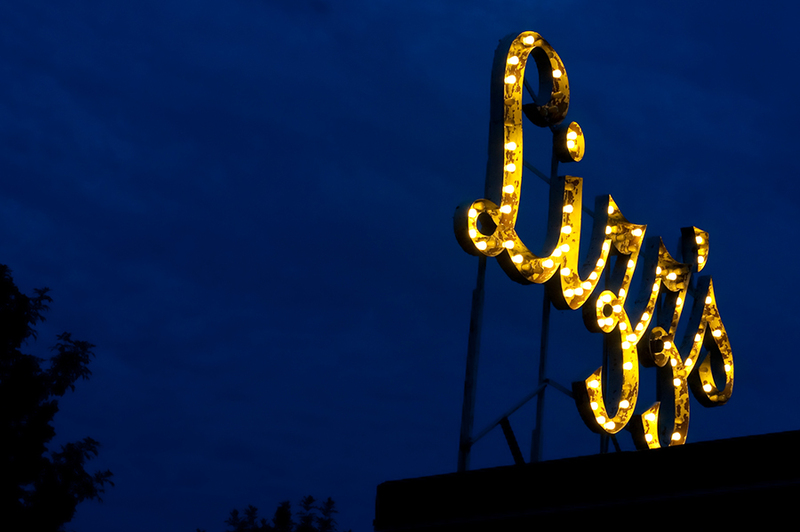 And I love the Lizz's sign. Reminds me of a fabulous night out outfit- french navy dress with just a dash of gold sequins. O this is great! Love the lights on the dark blue night sky! ah... i love the lizz's sign, too. I practiced my night photography last night at the football game! While hubby purchased me a top of the line flash- its so stinking complicated I usually turn the dang thing off. I suppose I am gonna have to read the manual... I look forward to seeing some of your "practice" pictures.